Register yourself directly for a course by visiting the agenda. 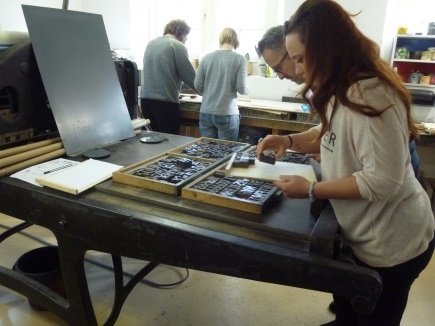 The Grafische Werkplaats offers various evening- and weekend courses, both introductory and more in-depth. The courses are held in small groups, guided by enthusiastic and skilled teachers. Within the courses, there is a lot of room for personal input. For inspiration and ideas of what can be done at the Grafische Werkplaats, have a look at our exhibition page or social media platforms, such as our Facebook pagina or Instagram. The course will continue, only if enough participants signed up. Your place in the course is secured once payment has been received. We do not reimburse payments that have been made when missing a course(day). Unless stated otherwise, the course price includes the basic materials for printing the course assignments. You can purchase additional materials or bring your own. Tea and coffee are offered for free during the workshops. Once a month we organise the Monday Printing Club: a monthly short introductory course that focusses on a different printing technique each time. This course is intended for you to get acquainted with the different printing techniques we offer at Grafische Werkplaats, and of course to get to know Grafische Werkplaats. Go to our agenda to book this course. Niveau: professionals in need of a memory refreshment or a little update and beginners. During this course, divided over three evenings, you will learn all aspects of silk screen printing on paper. 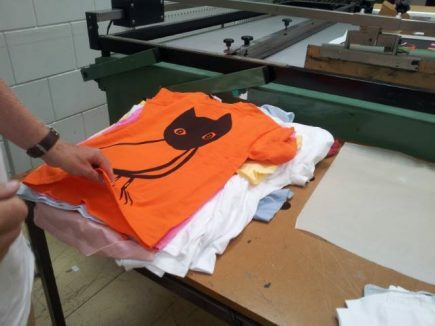 The first evening, you will learn what silk screening exactly is, what the possibilities of silk screen printing are, and will get to work experimenting with screen printing. At the end of the evening, we will discuss your ideas and possibilities of designs for two-color print(s), that you are going to realise within the next two events. The second and third evening, you are starting with your own design; coating with photosensitive emulsion, burning your screen, setting up and finally printing your design. 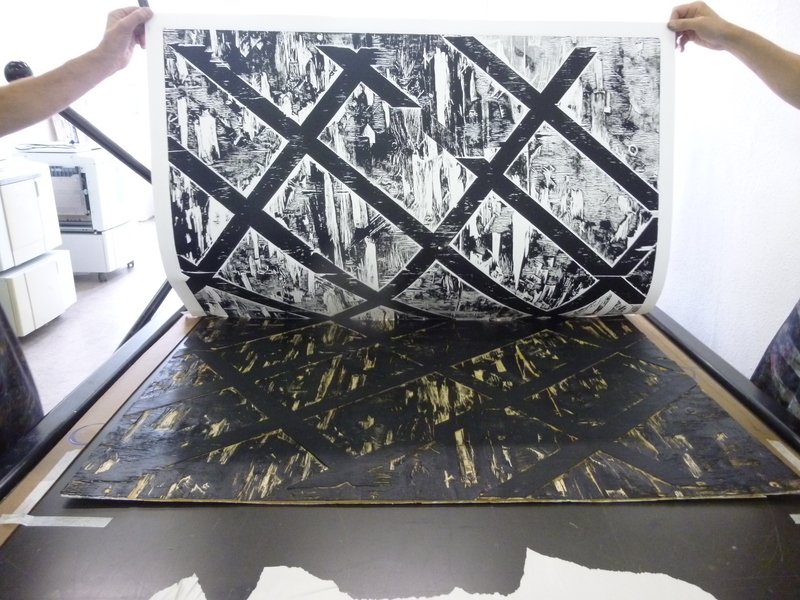 After attending this workshop, you’ll be able to silk screen on your own, without supervision. Learn all the facets of screen printing in two sessions. These workshops are offered every month. 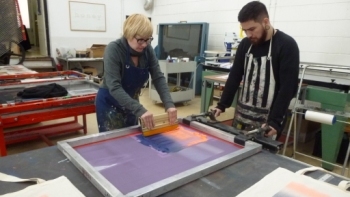 Get an introduction to screen printing, including lighting, in three short lessons. After which you will be able to work independently on Wednesdays or Fridays. Niveau: professionals who never worked with ferric chloride and beginners. During this course, divided over three evenings, you will learn all aspects of etching with ferric chloride (ijzerchloride). After attending this workshop, you’ll be able to etch on your own, without supervision. Cost € 38,- including basic materials. 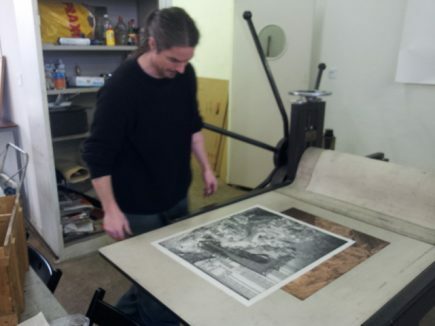 During this course, you will learn all aspects of Riso printing. You will get an introduction of what Riso printing is and what are the possibilities of Riso printing. After this, you will get to work making your own two-color design and printing it. 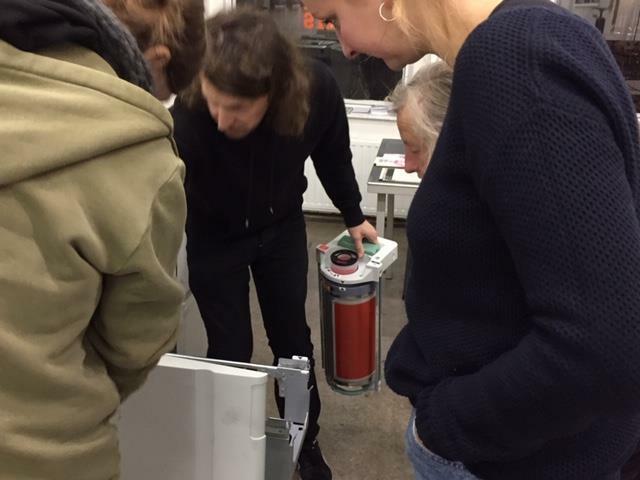 After attending this workshop, you’ll be able to Riso print at one of our three Riso machines on your own, without supervision. 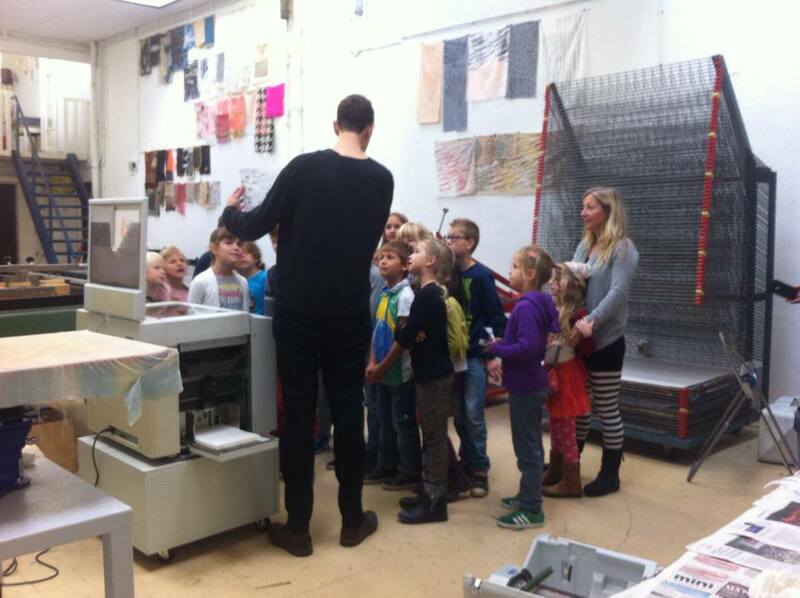 During this course, you will learn the basics of Riso printing. 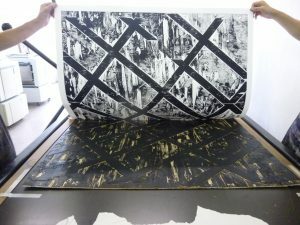 You will get an introduction of what Riso printing is and what are the possibilities of using Riso printing for zine making. After this, you will get to work making your own two-color zine and printing it. After attending this workshop, you’ll be able to Riso print -your own more elaborate zine- at one of our three Riso machines on your own, without supervision. During this in-depth course, you will learn all aspects of etching with ferric chloride (ijzerchloride). 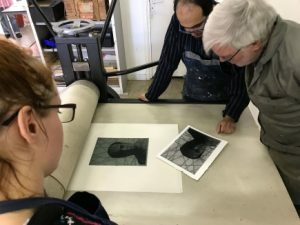 You will learn how to transfer a digital photo, design or drawing to a light-sensitive aluminum etching place and how to make a print of it. 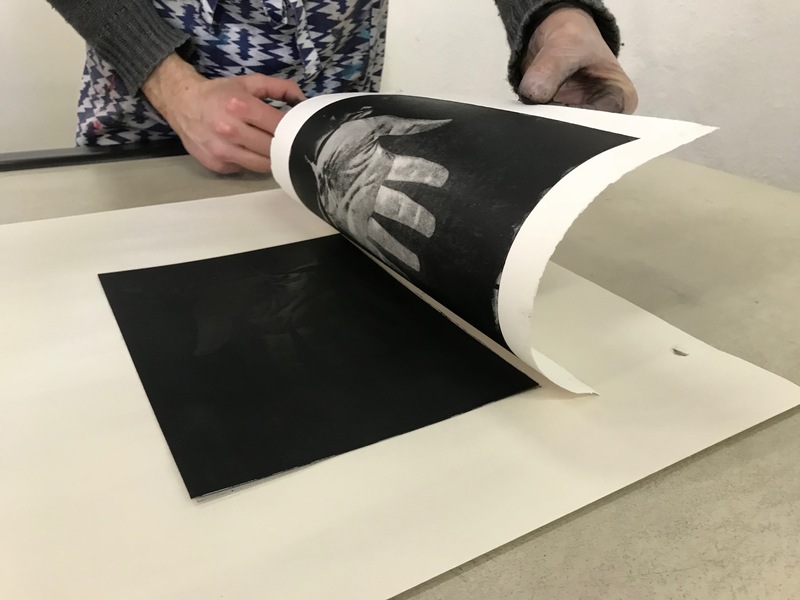 During this evening you will the do’s and don’t for making your digital design print ready for analog printmaking (for a.o. silkscreen, riso). After the introduction, in which we explain the how-to’s and show examples, you will get to to work on your own design. Make sure to bring a design and your laptop. In this course, you will make your own T-shirt(s) of your own stencil design. You will get to work with making stencils of your design and once your screen is al set, silk screening your design on your T-shirt(s). Make sure to bring one or two white or light colored (and washed) t-shirts to print on. 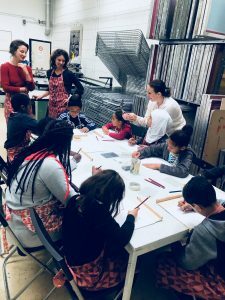 Besides the general workshops, we offer special workshops such as printing posters at A2, special workshops for children or in the theme of the exhibition. Keep an eye on our website, Facebook or Instagram.